Google’s live TV streaming service YouTube TV has expanded its reach to 14 more US cities, now reaching about half of the households in America. YouTube TV says it will add 17 more markets including Denver, Cleveland and St. Louis in the coming weeks. The completion of both expansions would make the service available to 46 markets and 64 percent of US households. YouTube TV is one of a growing number of options aimed at cord cutters seeking an alternative to traditional cable TV. 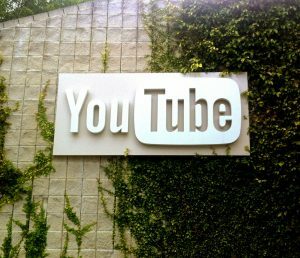 According to the company, the majority of YouTube TV subscribers are millennials. However, YouTube declined to provide specific numbers on how many subscribers it had. People in the 29 cities that have the service available can subscribe to YouTube TV for $35 per month, with no contracts. The service competes with DirecTV Now, Hulu with Live TV, PlayStation Vue, and Sling TV. Those services range in price from $20 to $40 per month. The biggest difference between YouTube TV and the other live TV streaming services is a focus on local channels ABC, CBS, Fox, and NBC. YouTube TV will only launch in cities where it can offer three or four local broadcasters. Nineteen of its 29 markets have all four, with the other 10 missing just one. All five live TV streaming services are working to add local channels. Hulu is in the lead with 200 local channels as of today. PS Vue’s recent expansion brings its total to 186. YouTube has about 105 local channels now, more than DirecTV Now. YouTube TV says the majority of the content subscribers watch on the service is live. The company wouldn’t say how many hours per day people watched.